The beta for this free-to-play first-person shooter is atmospheric, brutal and tense – Matt Martin dons a gas mask and digs himself a bunker. Survarium matches only last 15 minutes but it feels more like an hour. That’s a compliment – this is a brutal game, where players hunt each other through dilapidated buildings and radiated wastelands as tension artificially stretches time. 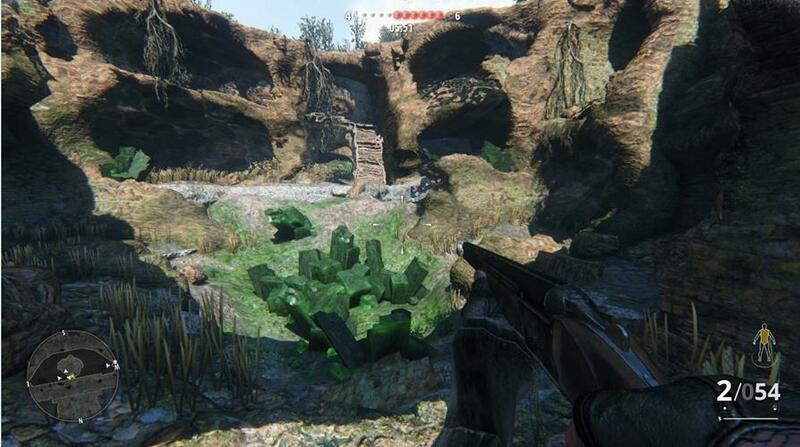 Armed with clunky rifles, moth-bitten clothes and not much else, the player is forced to creep forward cautiously and act quickly to take advantage of the enemies’ mistakes, or use team-work to ambush and bully them to a quick death. 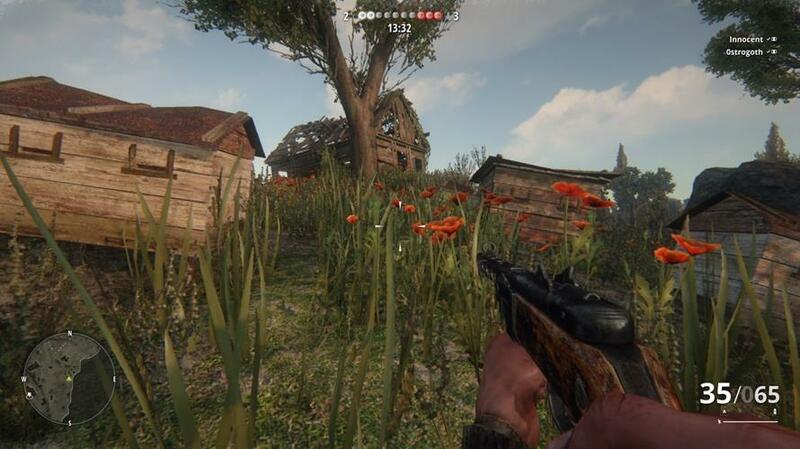 Developer Vostock Games is building a world of barren landscapes and sparse supplies, and so far the beta build is doing a great job of delivering confrontations where savagery and guts are as crucial to the fight as a well-placed bullet. Survarium is the post-apocalyptic shooter from Vostok Games, which is made up of ex-S.T.A.L.K.E.R. developers. The game is set in a world where nature has evolved rapidly, driving humankind out of the cities and into a daily fight for survival. Spread across PvE, PvP and co-op modes, Survarium plays home to many human factions, including Black Market, Scavengers and The Renaissance Army. Read our interview with Vostok Games’ Oleg Yavorsky here. That’s not to say the weapons in Survarium aren’t effective even though they feel like they’re held together with spit and prayer. The PPSH-41 is a clunky submachine gun that has a horrible recoil and is useless from a distance, but step a few feet in front of it and you’ll be cut to pieces in less than a second. It’s a great leveller, where no matter how skilled you are if you point it in the right direction and let the barrel glow the enemy will go down like a sack of spuds. Likewise the Mosin carbine bolt action rifle – a World War II classic that gets the job done with a well placed headshot. After these two starting weapons players can earn enough to buy a double-barrelled hunting rifle, a sawn-off shotgun and a handful of other functional weapons. None are glamourous but you learn to make the most of minor but distinct changes in firepower. In this beta stage the game is limited to a capture-the-flag variant where two teams scrap it out for batteries which need to be carried back to base. That’s the reasoning for the confrontation, but the thrill is in stalking across the fairly big maps, finding alternative routes and secluded ambush spots to get the slight upper hand in a war of attrition. The game is set in a near future where an environmental disaster has left the human race desperate to survive, but it may as well be the Western Front or the US Civil War. You kill, you die, you kill, you die. It’s a slow game, where caution and creeping give way to sudden bursts of violence. There’s barely any of the jumpy, sprinting, quick kills of Call of Duty or Battlefield. When four or five players do meet the violence is chaotic and abrupt. One will be left standing but you can’t really say you’re a winner – you just survived. 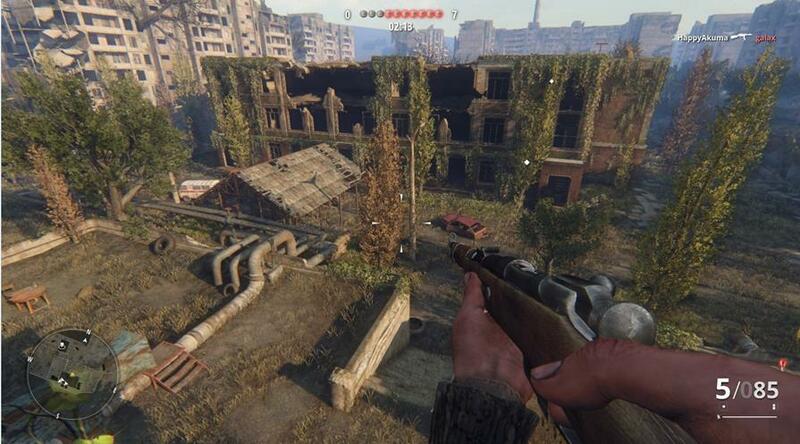 One of Survarium’s clearest strengths is its environments, which initially seem basic but beautiful, only to open up with exploration to provide choke points, killzones, sniping spots and tiered structures to hide, surprise and murder the enemy. Buildings are dirty and overgrown, with dim basements and collapsed ceilings, while outdoor locations offer some cover in amongst the pretty wild flowers and broken farm machinery. Parts of the map have strange radioactive growth that pulses out killer vibes if you get too close, draining colour or blurring your vision. While there are man-made structures still standing, humans feel out of place here. It’s great world-building by Vostock that’s enhanced by the developer’s use of sound. The echoing clatter of gunfire is enough to keep you nervous and twitchy, the snap and pop encroaches on any comfort you find in your surroundings. There’s howling dogs and weird screeching noises that continue to put you on edge, and although this is only a beta build it feels like Vostock has already created narrative in a convincing world without having to result to clumsy in-game explanations. Play the game for only an hour and you’ll pick up the horror, the desperation and the mystery. Aside from sparsely handed-out experience points, silver and gold coins are earned through each battle. Gold is used to enhance experience (you can get a 24 hour boost on stats for a set fee, for example) while silver is used to buy marginally better equipment. Weapons are the most obvious, but in-keeping with the survivalism are fingerless gloves to increase your loads speeds, or nasty bear-traps to catch a clumsy footed enemy. On top of that are simple Quests – kill five players, steal a battery from an enemy base – that affect your standing with the game’s factions; Scavengers, Black Market, The Renaissance Army and The Fringe Settlers. There are a few frustrations early on with the game. 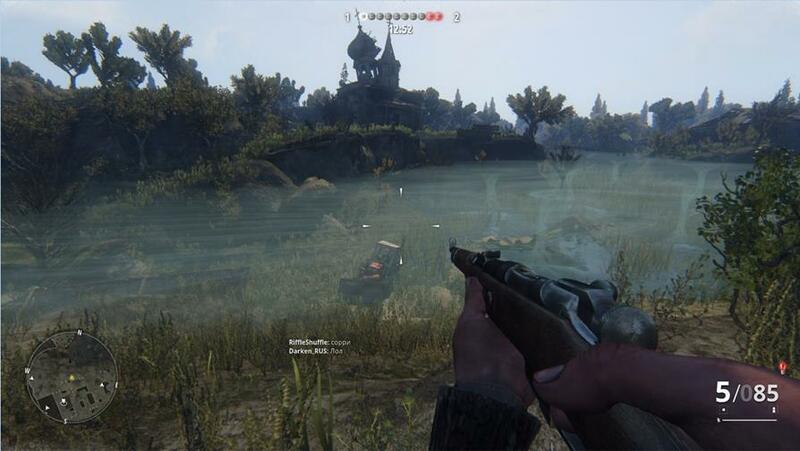 It’s not always clear if you’ve killed with a shot if the enemy is in the distance unless you’re checking the in-game message in the upper right hand of the screen, which breaks the immersion somewhat (although I’m not sure a killcam is right for Survarium’s grimey combat either). Levelling up is slow and when it does come it’s only an incremental upgrade to your stats, so you should never expect to be at a massive advantage to other players. This game is clearly about scrappy fights in player versus player mode. There’s much more promised from Vostock Games and Survarium beyond this beta. It will also feature player versus environment missions in its completed form, which, considering the game is telling a story of man’s fight back against wild nature, could be a real standout feature for the game. And with co-op play potentially spinning off the need to share scraps of equipment and ammo, I can see plenty of potential building on the solid beta groundwork. In the meantime there’s good reason to go back to the PvP multiplayer beta. The short, sharp combat is a thrill to experience, the atmosphere is thick with violence and the world looks beautiful. This isn’t just combat – it’s about hunting down humans and surviving in a brutalist landscape.